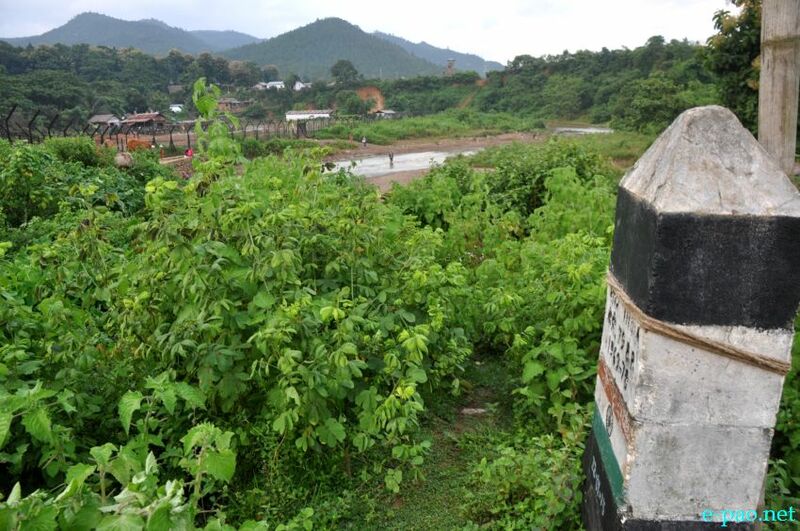 The survey conducted by Geological survey of India (GSI) along the borders of Manipur should be taken not only for border pillars such as number 81 to 83 but it should cover up to border pillar number 97. This was stated by president of Information Centre of Hills Areas Manipur (ICHAM), Yuimi Haoram during an interaction with media held on Wednesday at its head office in Imphal. The border pillar survey will not be successful if the village headmen and ICHAM are excluded during the border survey, its president had said. He also said that the ICHAM along with the village headmen took a survey of the border pillars in May 2013 at Kwatha when the Central Government announced to set up the international border fencing. A team of Geological Survey of India (GSI) after forming a committee, came to visit the place along with the then Home Minister of the State, he added. During that time, members of ICHAM had informed the government team that the fencing which was erected at Kwatha cannot be the final international boundary. But the then convenor of the committee, Suresh Babu replied that the fencing is not international boundary but a security fencing, he further said. Speaking at the press conference, publicity and information secretary of ICHAM, D Solomon said ICHAM has the relevant documents for the border pillars. GSI will not succeed in attempting to solve the border issue without the consent of the village headmen, he pointed out, adding that while erecting the border pillars, the State should consider minutely by co-operating with the villagers as they have been settling in the area since decades. He also appealed that the committee should survey not only the border pillar numbers 81, 82 and 83 but must survey the entire border pillars up to border pillar number 97.